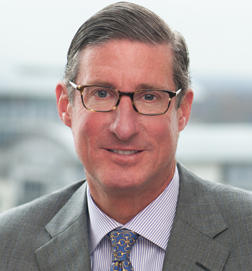 Larry Fisher is President, Family Wealth Services for Chevy Chase Trust and is responsible for providing comprehensive wealth planning advice and overseeing services to families, individuals, foundations, and endowments. Larry is a member of Beta Gamma Sigma, the premier honor society recognizing business excellence. He is currently a member of the Suburban Hospital Foundation Board. Larry is also a member of the Board of Directors of the Atlantic Council of the United States, Teach for America – D.C. Region and Junior Achievement of the National Capital Area. He is also a former Treasurer and Executive Committee member of the Board of The National Symphony Orchestra at the John F. Kennedy Center. He is the former Chair of the Board of Directors of the Graduate Management Admissions Council (GMAC). From 1995 to 2009, he served as a member of the Board of Visitors at Georgetown University’s McDonough School of Business.